It feels like I’ve been neglecting Sofischoice a bit (sorry!) and I definitely need to start sharing more stylecards again! PS – what do you think of my new bracelet from Fashionology. Loving it! 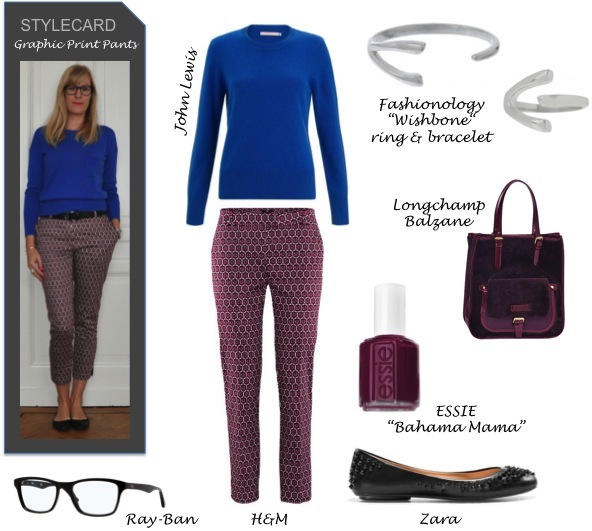 This entry was posted in Fashion and tagged blue, Fashionology, graphic print, HM, knitwear, Longchamp, Zara by sofischoice. Bookmark the permalink.